BarkerBlue Graphic Display – Few companies in the digital imaging and printing business are as invested in sustainability as BarkerBlue. BarkerBlue Create is the complete visual display and print solution for any creative project. your job on time and budget, in exactly the way you envisioned it. 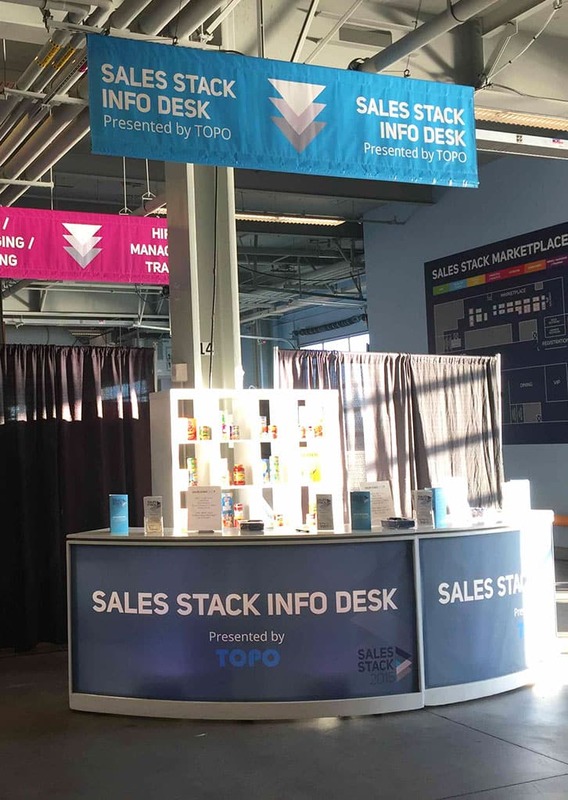 Separate yourself from the crowd with our complete graphic solution for tradeshows and events. Experienced design and project management professionals will help you plan, budget and deliver show-stopping graphics for any purpose or event, anywhere in the world. 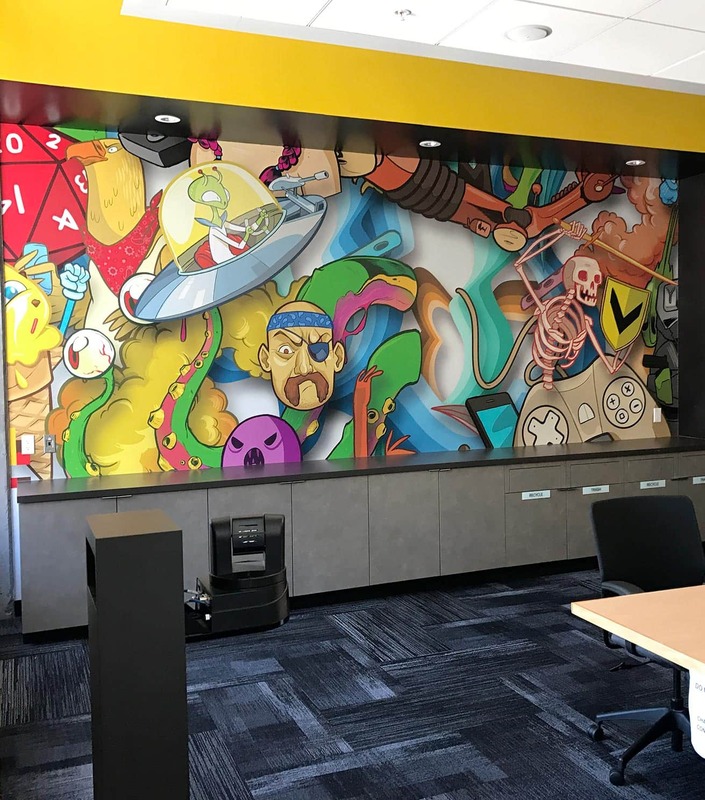 Increase productivity, drive corporate values and extend your brand with a custom environmental graphic solution for your workspaces and office interiors. Expert help with planning, design and installation ensures the best execution for every environment. Drive patronage and membership, engage the arts community, and provide your guests with an immersive experience from the entranceway through the museum store, with quality signage and displays. 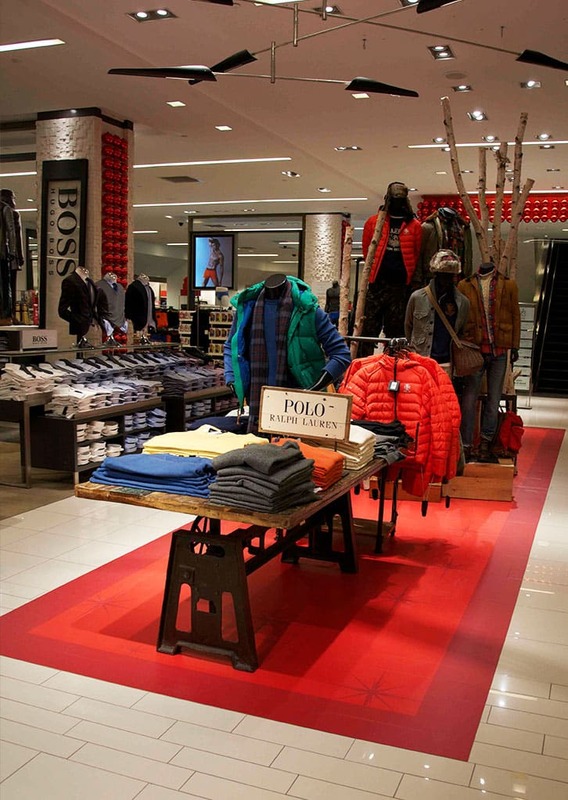 Give your in-store and retail displays the brilliant treatment they deserve. Get access to the latest methods and materials and get help with managing everything from planning and design to delivery and installation. Promote and secure your construction projects with our total building and construction solution. 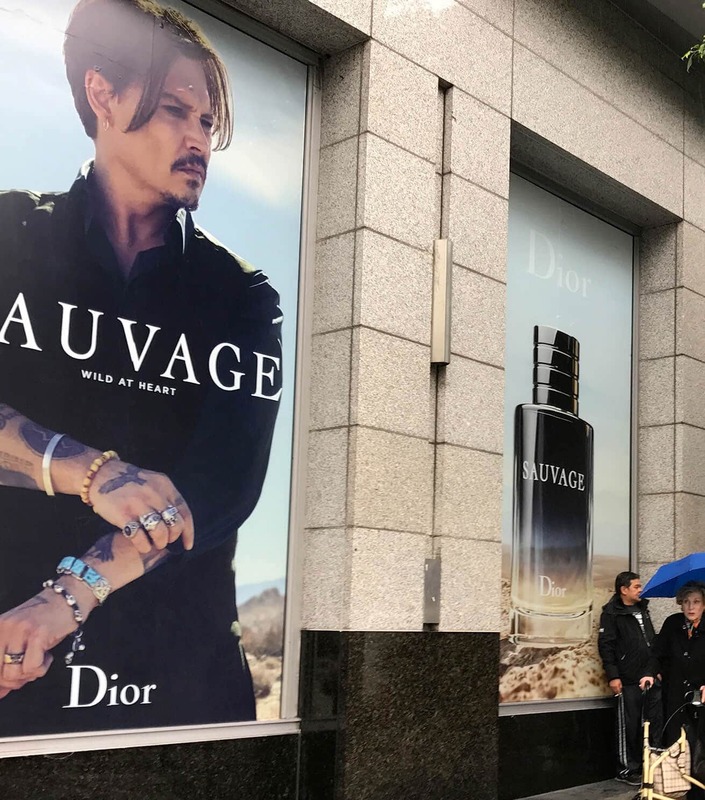 Our expert staff will help you plan, produce and install barricade, safety and wayfaring signage that will give your new project the attention and security it requires. 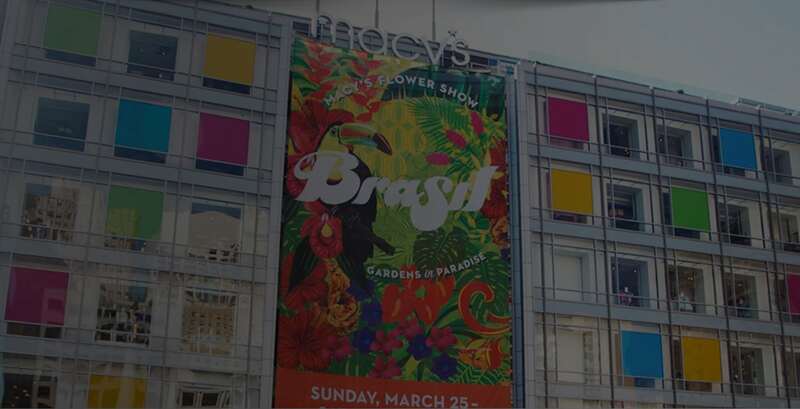 Outdoor window graphics allow you to easily increase the reach of any in-store promotion. 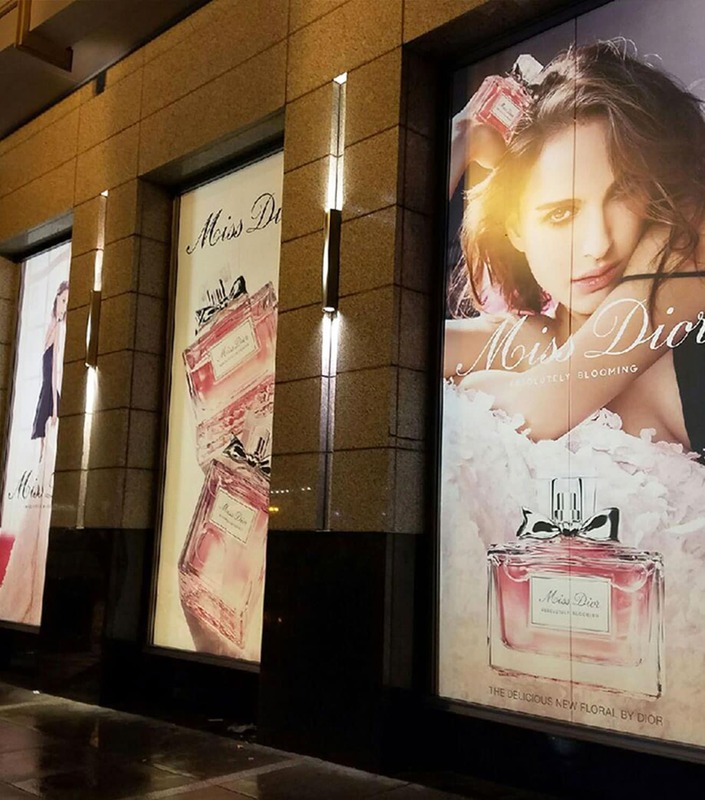 For Macy’s Union Square (San Francisco), we helped visualize this oversize, outdoor campaign to be displayed as a part of one of Dior’s most recent campaigns. 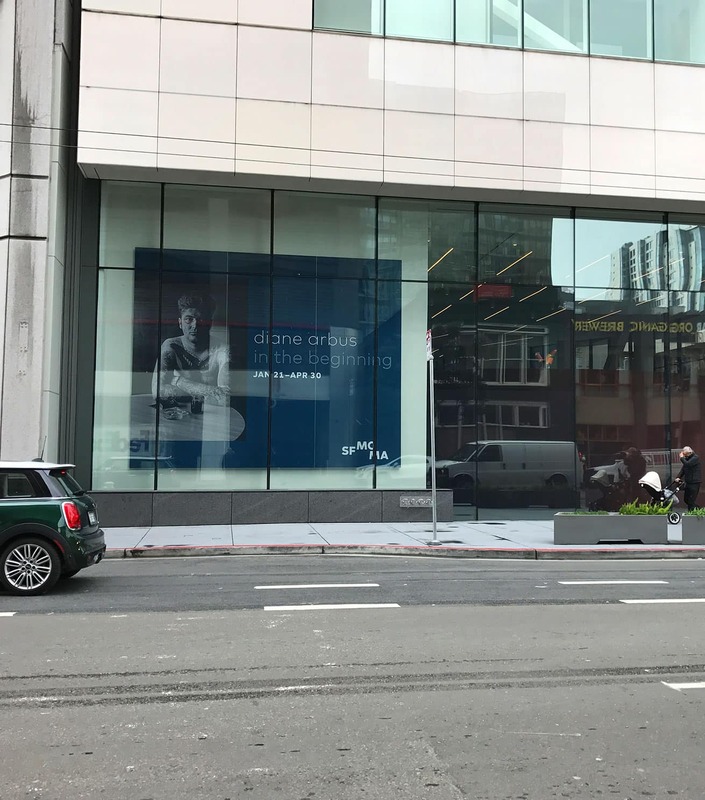 The graphics were printed on a high quality adhesive vinyl using latex inks to retain their brilliancy, even in the face of the Bay Area’s harsh winter weather. 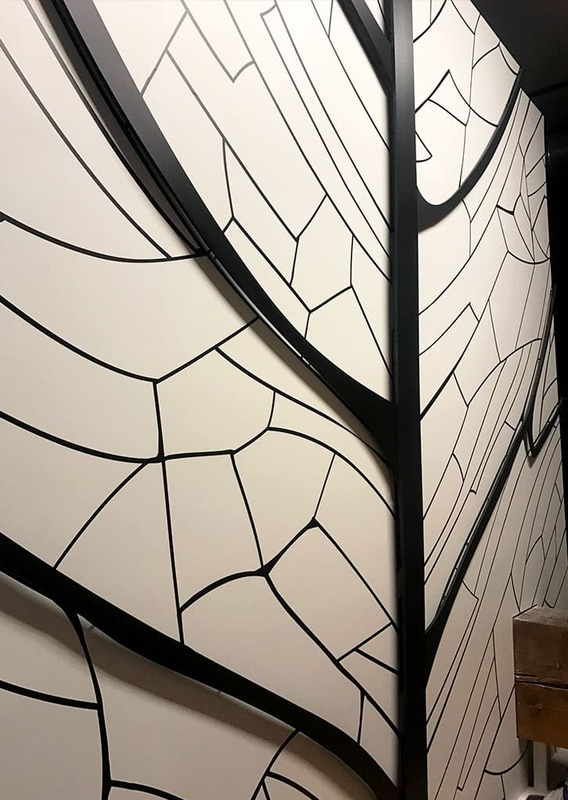 Wall Graphics allow you to make a big impact in the workspace while minimizing the effect on your physical structures and budget. 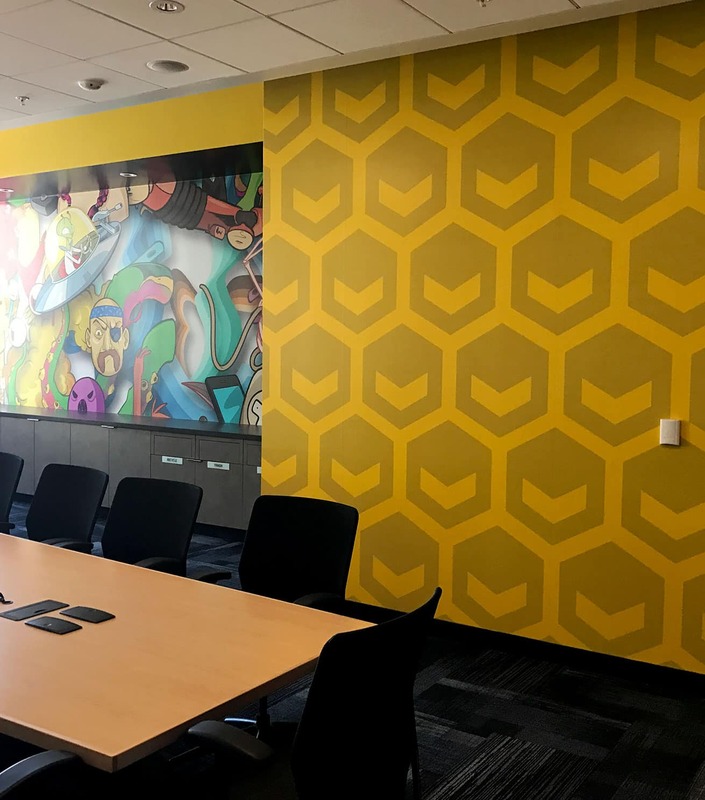 For our friends over at Ellation we helped turn one of their conference rooms into an immersive environment by making use of their already existing digital assets. 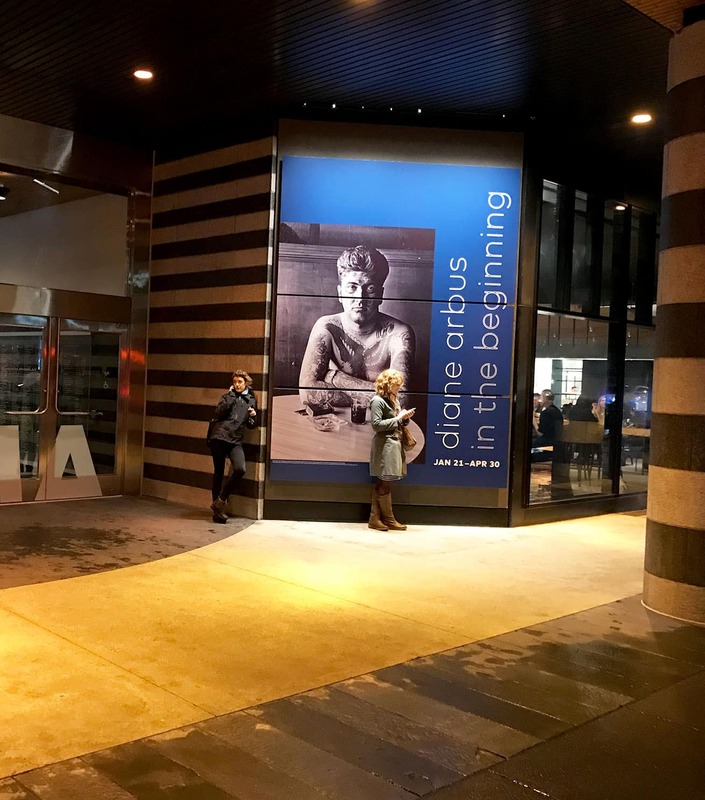 For SFMOMA’s new exhibit ‘Diane Arbus – In the Beginning’ we produced and installed this grand format tension fabric display. The super sized graphics are produced using a paneled tension fabric frame and graphic system. The system delivers photo quality and near seamless size to the 24 foot wide by 16 foot high display. Your business has big ideas and plans. We have the creative design, production and installation professionals to help you turn any of them into reality. BarkerBlue helped us allow for our employees to engage with our corporate values and bring the culture to life within our organization. BarkerBlue was a critical partner in not only thinking through the best way to do this, but also in creating and developing the beautiful design, the color scheme, and how the graphics are presented on the walls. 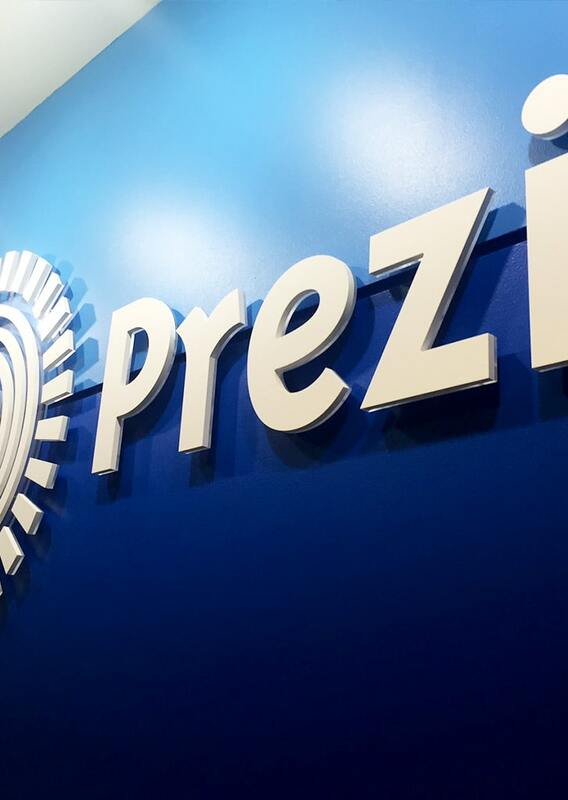 We look forward to continuing our partnership as we continue to grow. You have a vision; let our materials, production, project management and installation pros help you deliver it on time and in exactly the way you imagined it. We rely on BarkerBlue to come up with recommendations for the random requests we get. I can say ‘here’s what we’re thinking,’ and they’re really good about steering us to the right end product without spending a lot of time on research and figuring out the specs. With everything they do, they’re continually bailing me out, not sure what I would do without them. 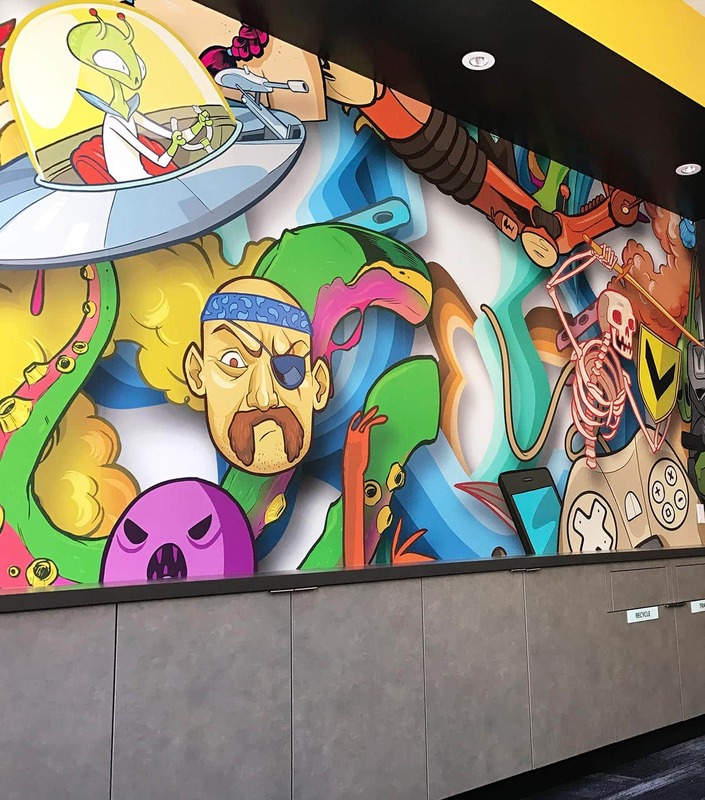 From planning and design to permitting, delivery and installation our environmental graphics department can help you create an office environment that reflects your company’s brand and values, without breaking a sweat. 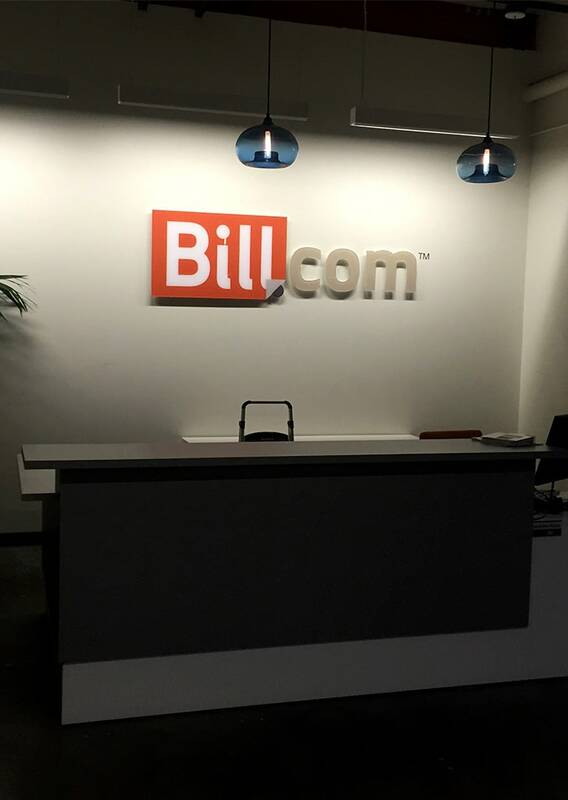 They created a beautiful three dimensional sign for us, and helped with everything from clearing administrative issues with the building to installation. We couldn’t be happier and would definitely use them again. Your promotions and in-store displays represent your brand and the story you want to tell. Let our retail team help you plan, produce and deliver them in the time, quality and spot-on color you expect. BarkerBlue produces all the print work for me, they do my estimates, recommend alternatives and are always thinking of other things we can do. I can’t use low quality anything, and without anything other than the file to match, they always do an excellent job. They’re reliable and the quality is great, so once I put the order in I can relax. Let our event team help you stand out from the crowd. From planning and walking the floor to budgeting, design, production and delivery we can help you create a new or re-skinned display that will get your company noticed. BarkerBlue is our preferred vendor. They do all the measurements, provide recommendations, and come up with out-of-the-box solutions that give us the ‘wow’ factors our clients are looking for. Plus, the level of customer service they provide, putting out fires at the last minute, is just too valuable to even put into words.